One of the common concerns raised by our members is about the long-term effects of Premature Ovarian Insufficiency (POI) on their bones. Healthy bone tissue is in a continuous state of turn-over, with old bone being resorbed and new bone being made. When there is a lack of estrogen (as in POI and menopause), more bone is resorbed than is made, leading to bone loss. Untreated, this puts women at risk of developing low bone density and osteoporosis, which in turn increases your risk of fracture in later life. Do I need a bone scan? How often should I have them? Bone density can be assessed using a type of x-ray known as a DEXA scan. It is usually recommended to have a bone scan when you are first diagnosed with POI as a baseline measurement. The result of a DXA scan will be either be normal, osteopenia (meaning thin bones but not osteoporosis) or osteoporosis. The frequency of bone scans will depend on several factors including the initial result, whether you have other risk factors for osteoporosis (such as family history) and whether you are taking estrogen replacement or not. Most commonly the bone scan would be repeated after around 3-5 years to ensure your bone density is remaining stable. Taking estrogen replacement, in the form of HRT or the combined oral contraceptive pill (COCP), can help prevent bone loss and sometimes even increases bone density. The latest data suggest that HRT may be more effective than the COCP at protecting bone density however there are many factors to take into account when choosing what treatment to use. A well balanced diet incorporating foods rich in calcium and vitamin D. Aim for around 1000mg calcium daily and 800IU of Vitamin D.
Calcium is found in dairy foods, oily fish, green leafy vegetables, bread, cereals and pulses. Most of our Vitamin D comes from sunlight exposure but it is also in dairy products, oily fish and eggs. It is hard to get enough Vitamin D from food so the advice from Public Health England is that adults and children over the age of one should consider taking a daily supplement containing 10mcg of vitamin D, particularly during autumn and winter. 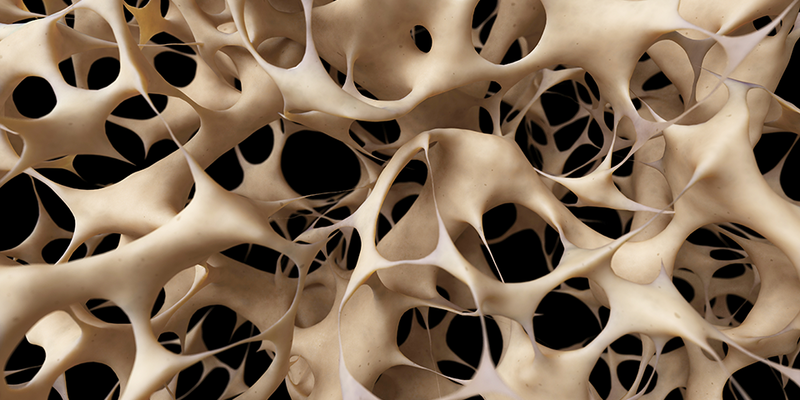 Minimizing caffeine and alcohol and avoiding smoking will be beneficial for bone health. Hear about the latest developments in POI at Daisy Day on 8th June – there is still time to get your tickets here.